Overwatch has been out for a week now and it’s fair to say that it has been pretty well received. Whether you’re playing on Xbox, Playstation or PC, this stylised, chaotic shooter is tons of fun. Overwatch has been reviewed to death, so I’m not going to cover that here, but there were a few highlights that I wanted to pull out. It happens in other shooters, too. That final kill you get when the game is finely balanced. Managing a bomb plant amidst a heavy firefight. This sort of moment isn’t new, but in Overwatch it’s far more common. I’m a very middling player when it comes to games; bursts of kills are punctuated with endless deaths. However, even with my inconsistent talents I find myself not just witnessing awesome moments but actually being responsible for them. 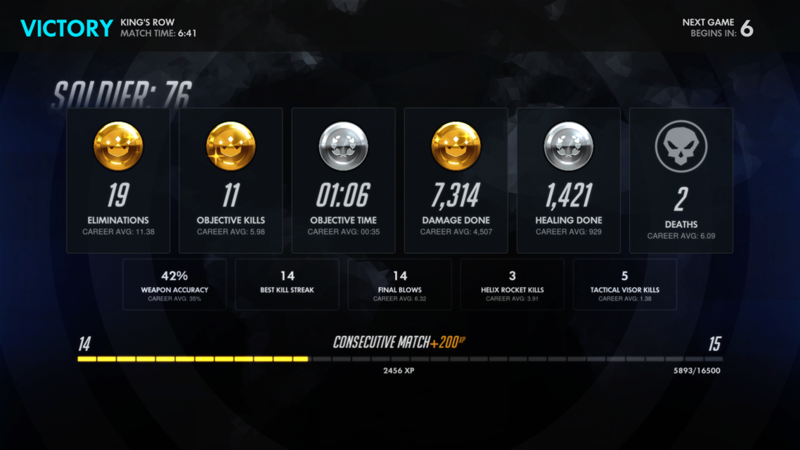 A particular highlight was in a game playing as Mercy, a healer. I revived the entire team after being wiped out by Hanzo to make the final push on the game-winning payload. It’s moments like these that make the game so compulsive. Another reason the game is so much fun are the heroes that make up the warring teams. The gang are spilt into 4 classes; attack, defence, tank and support but even within those, the characters can play very differently. A good example is the attack class that features characters that excel in mobility, designed to get up close and personal, like Reaper. As a counterpoint to this there are others that are designed to terrorise the team from mid range, like Soldier 76. What this means is that while you may have a class you lean towards, there is probably someone who suits your play style in each. Of course, the key to any shooter is having maps that support the chaos. This certainly seems to be the case in Overwatch. Most are large enough to encourage route finding for the flankers but contained enough to focus the action. There are perhaps fewer points for snipers than you might find in the more established franchises and this is much to its credit. The sneaky folk playing Hanzo and Widowmaker will still find their niches, however! 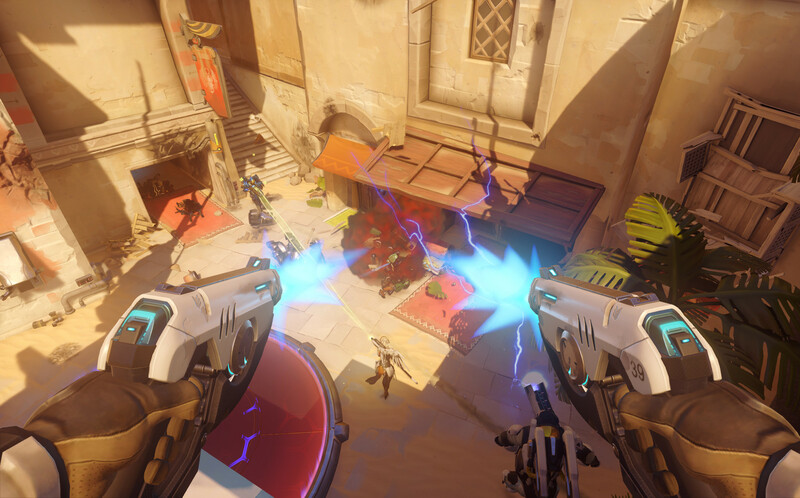 The maps are spilt between point capture, payload delivery and a hybrid of the two. Payload maps in particular have some great chokepoints for defenders to set up in and breaking through some of those is a real challenge for the attacking team. All appear to be well balanced, however, and I’ve not seen too much complaining about any one in particular. All in all, Overwatch is a blast. It’s colourful, doesn’t take itself too seriously and is great for new players while still retaining a lot of depth. Balance is something of a badge of pride in everything Blizzard do and that is very much on show here. Should you pick it up? Most definitely. Mercy, Junkrat and Soldier 76 for the win! Having had a few games with him yesterday I would now add Zenyatta to this list!